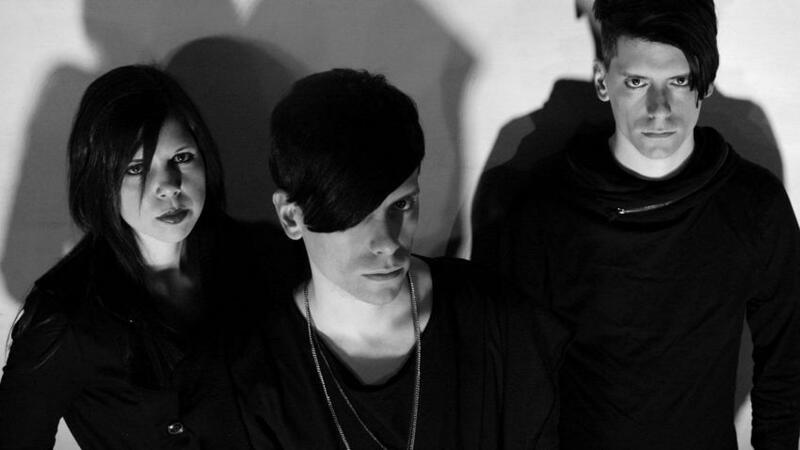 Here we have the debut album of the Italian darkwave trio Ash Code! But, what is hiding under this nice glossy cover that shows a mysterious sleeping girl with violet hair and half a skull on a pink bed? Before we share that, let’s enjoy those colours because, once the music starts, the journey into the dark territory begins. Ashes to ashes. Dust to dust. Ash Code also hides a bit of that dust that was once sung by Siouxsie and the Banshees in Cities in Dust, as Alessandro (singing & keyboards), Claudia (keyboards & some singing) and Adriano (bass & drum pads) come from Naples: the city on the edges of the Vesuvius volcano. So, there are ashes and darkness and on reading the ten song titles you might have a hard time deciding which one is the saddest, however, you will have many reasons to dance and enjoy once you play this record, because Oblivion won’t be forgotten soon! 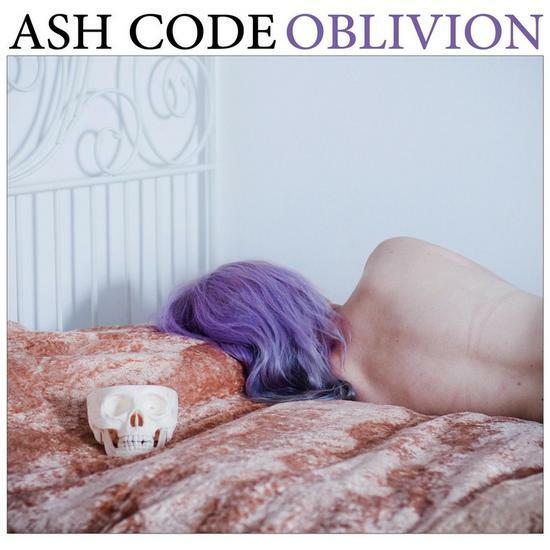 Ash Code is a young band that was just founded at the dawn of 2014, so you won’t be surprised that Oblivion is their debut album. Two singles were previously released but don’t worry, except I Can't Escape Myself, a cover of The Sound, the three other songs are included on this album. And although I suspect that they have released all their own songs recorded to date, there is one evidence after you’ve played Oblivion: there is absolutely no weak track! And even though they have included Unnecessary Songs, that was originally released as the B-side of their first single, you can be reassured that no song is superfluous! Oblivion starts very slowly with Void, an ambient meditative one minute intro, based on a sampling of Derek Jarman’s last “film”. But once you know what this “film” is about and when you see that the Ash Code folks thank Friedrich Nietzsche for the inspiration for the concept of Oblivion, you already have a strong idea of where they will lead us soon: into the deepest darkness of our souls! The excitement really kicks in with Waves With No Shores, being immediately catchy, led by a strong metallic rhythm and typical darkwave synths lines and, as soon as Alessandro’s deep voice resounds, a bit later joined by Claudia’s scary whispers, you will move to the dance floor. Because, this is really what Ash Code delivers: a super catchy blending of gothic sounds on hyper-danceable rhythms. Their first single Dry Your Eyes, that follows, quickly confirms that impression. It’s intense and showing a superb sense of melody, being simple and direct, but not simplistic. 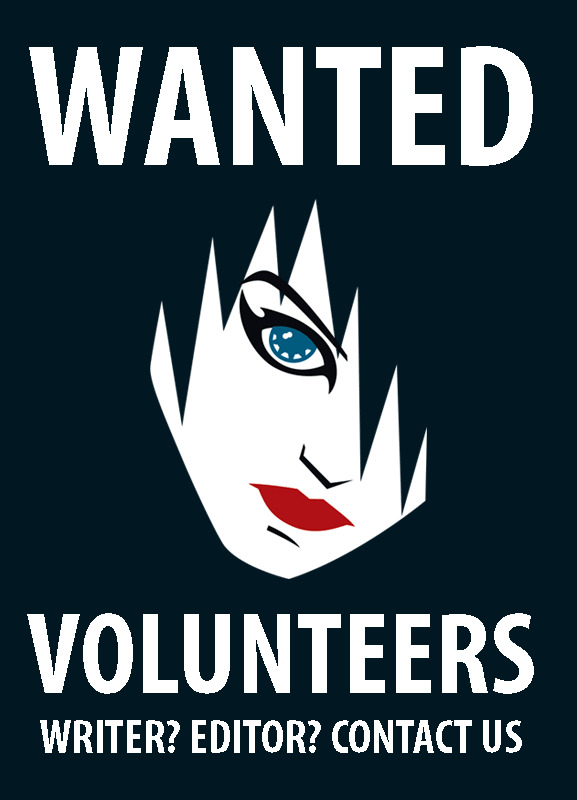 Actually, the first time I heard those two songs, they gave me the same thrill that I felt the first time I heard Clan of Xymox first album. That is a sign! 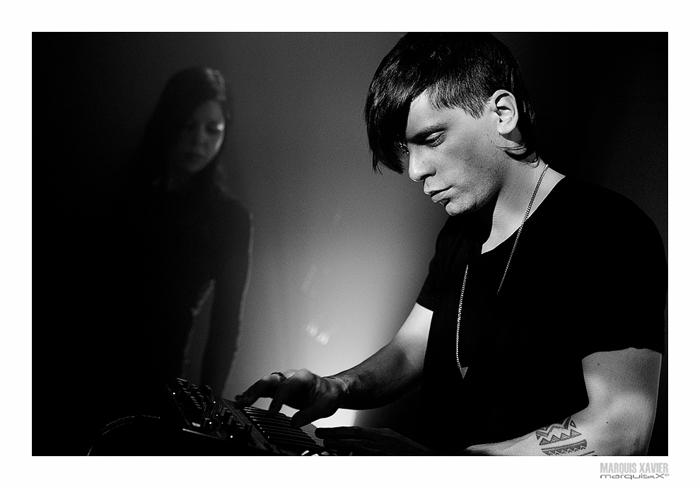 With Crucified the tempo goes wild, this is really an EBM rhythm, and it’s so fast that you can even hear Alessandro catching his breath. Yes, OK, that was on purpose, but that gives you an idea of how you’d feel dancing to this one. Luckily it’s only three minutes long, but that will be enough to make you sweat! Then comes Oblivion, the album title track, and the tempo drops, while you can feel the oppression of a fog that would surround you on a very cloudy morning. The song starts with a wailing synth sounding like a lazy siren that knows it’s too late to warn anybody. You can feel the despair in the repetitive synth loops as well as in Alessandro’s chant and when he finishes the song, repeating “that’s my oblivion”, you are wondering what he wanted to forget so eagerly. Time to cheer up a bit, guided by the strong bass line of Unnecessary songs that also gives Empty room its post-punk side that sends us back to the early eighties. This is the song that Killing Joke might have composed in 1984, if they had been given only computers and keyboards … this one is a killer live! And of course, after such a hit, it is hard to keep the intensity at the same level, but when Drama starts you don’t stop moving, dancing or jumping around at all. Drama also finds its roots in the early eighties, but it has an adorable synthpop/minimal synth tune instead, reinforced when Claudia grabs the microphone. 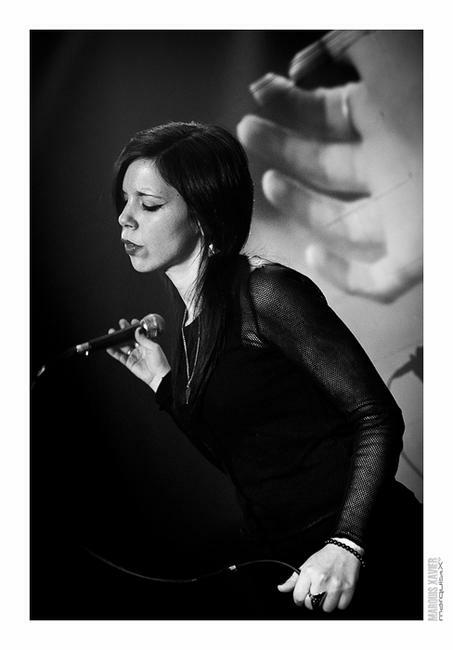 As much as Alessandro brings the darkness with his deep bass voice, Claudia adds up a touch of freshness that makes the song irresistible, regardless of the words she sings and don't seem so positive. But when Drama ends, the colours vanish again, as Want delivers, with its somber intensity, an electroclash whiplash, and in between the sounds of breaking glasses and again siren-like synths, you feel like driving too fast in the dark, living the danger through the music. Alessandro even dares to check whether we are still awake. Could it be that this was just a dream? But all best things must end, right? And before we separate, Ash Code will kiss us goodbye at the North Bahnhof, with a beautiful coldwave ballad, marked by the chill, the falling night and the sadness. A thrilling way to end, to fill you with regrets because this first chapter is over. 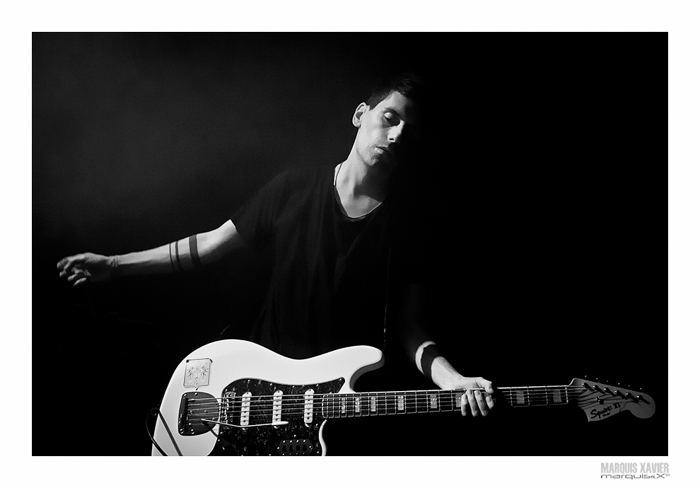 Ash Code have successfully managed to blend the cold despair of the post-punk of the early eighties, with modern catchy sounds, and deliver with Oblivion one of the best darkwave albums of the year. It’s rather hard to imagine that they composed and recorded all this in the spring, in southern Italy while it was hot and sunny over there. For those who will discover it on a cold December night, it will definitely get a unique flavour! The album is not so long, so make sure you know where your “replay” button is because, trust me, you’ll need it!